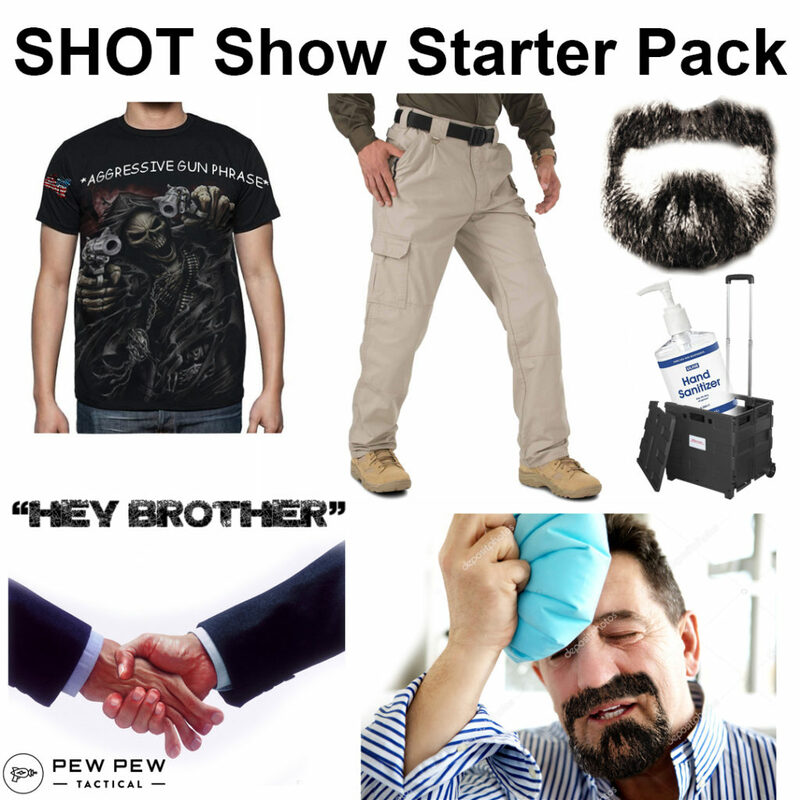 SHOT Show 2019 is done…and only 2/3 of our team came down with the SHOT Show Plague. 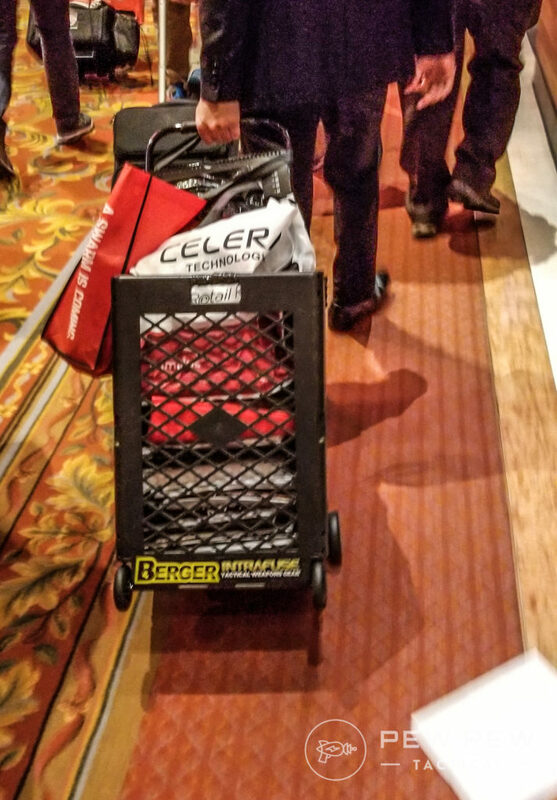 We survived countless encounters with rolling carts…even meeting some boss-level ankle destroyers. But we survived…and here’s a couple of our favorite things. One of the first things I saw on the floor…and something straight out of COD. @steineropticsusa DBAL-LRF: A red dot with a built in thermal overlay  Would you? . . Follow @pewpewtactical for more! Available in both filled-in or outline-only thermal modes. And look at its small footprint. This crazy futuristic optic is only for military and I’m afraid of even asking for the price. One of my favorite AR-15 piston upper makers (Best AR-15 Piston Uppers & Kits) is making their kickass guns available to everyone. PWS’s new PRO line brings all their reliable internals into a more affordable aesthetic package. Less time in the CNC machines = less money you pay. We can’t wait to test out their $600 PRO upper…compared to over $1000 for their regular ones (full review of their MK116). How about a non-NFA brace for your Glock? Fab Defense’s newest version of their KPOS utilizes a quick brace system plus their aluminum/polymer body. And a trigger guard that folds out to an angled grip. Itay from @fabdefense walks us through the basics of their new Scout platform! Some pretty rad improvements over the previous iteration. Would you rock it? 樂 . . Follow @pewpewtactical for more! 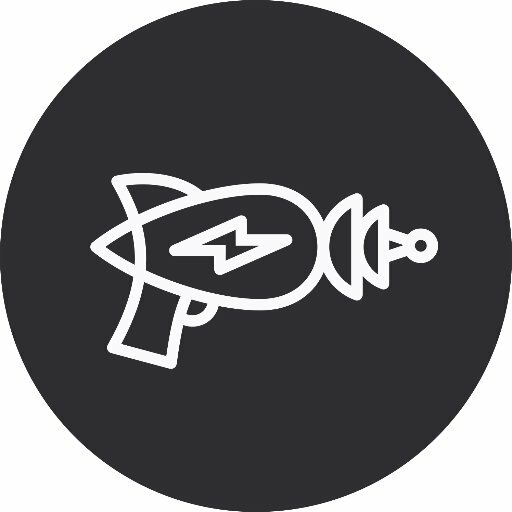 FFP and SFP is an argument that most long-range shooters can go on about for hours. But what if there was a third option? What if you could have both? 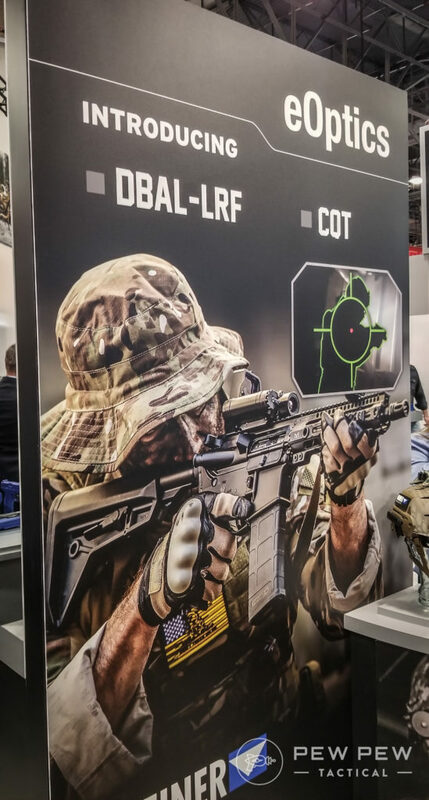 Shepherd Scope not only makes a scope with both FFP and SFP but the reticle itself is broken into two moving parts meaning the top half and bottom half move completely independently of each other. This opens up a number of interesting options, such as a one-shot-zero or being able to have the consistent range marks of an FFP scope but also not lose out on the bottom marks at max zoom. Interesting tech to say the least! The BRN-10 is a big, beautiful rifle. The original battle-design shines through in the remake. You won’t find collapsible stocks or short barrels here. But the BRN-180 is even better. 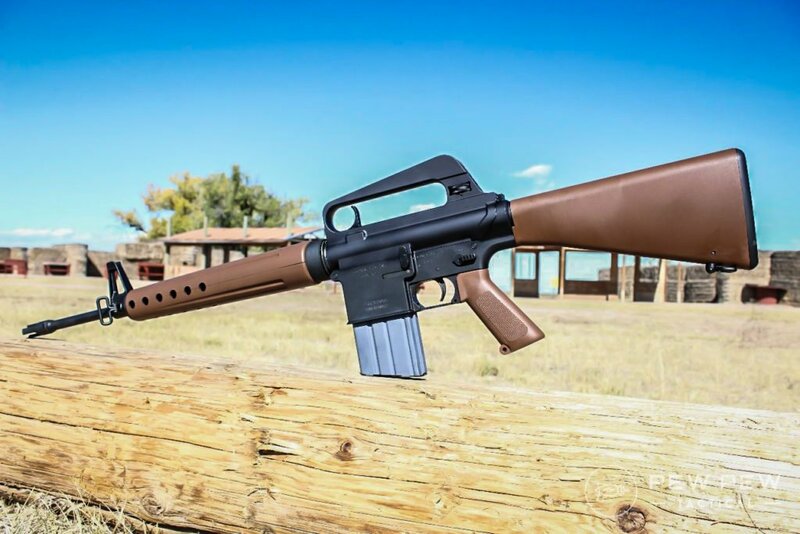 Based on the AR-180, Brownells has recreated the main features of the AR-180 while also updating it for the modern AR-15. 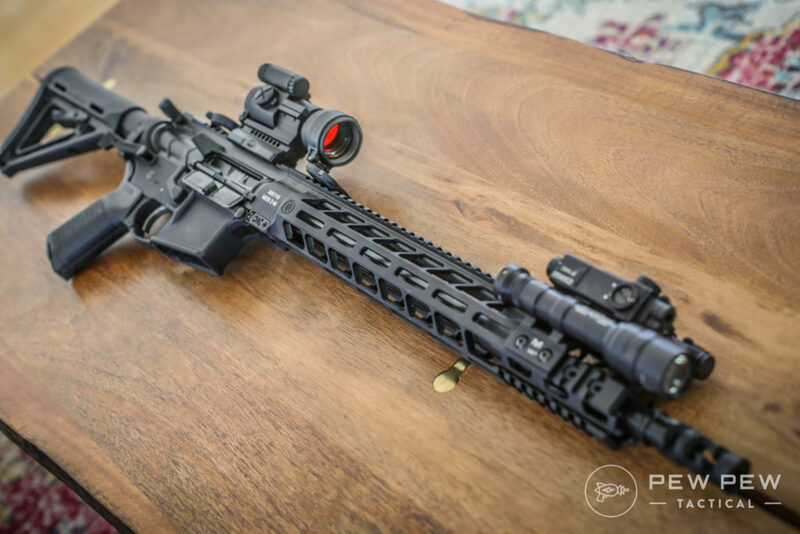 Fitted with a free-float handguard and able to mount on any standard AR-15 lower the BRN-180 is a really cool fusion of the old and new. Just to refresh your memory, the AR-180 was the design that Stoner created after the AR-15. It features a gas piston system, side charging bolt, and the ability to fire with the stock folded. While the AR-180 never saw widespread adoption, the design would go on to inspire dozens of other major rifles. While “the Hexagon is the strongest shape found in nature” sounds like the beginning of a late night TV infomercial, 5.11’s HEXGRID system doesn’t come across as a gimmick. The HEXGRID allows for the attachment of standard MOLLE pouches in ~12 different directions, acknowledging the fact that sometimes completely vertical or horizontal angles aren’t the most efficient or comfortable way to access your kit. 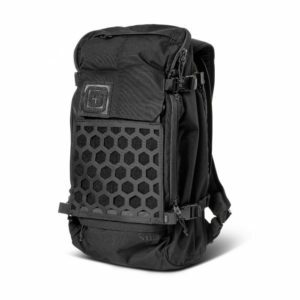 This innovative take on the MOLLE grid platform isn’t actually new, as it’d been announced as early as 2017, but 5.11’s informed us that their AMP Backpacks featuring the system are finally ready to hit the market. As an avid hiker, I’m pretty stoked to take one out on the trail and play with a few different configurations for my standard overnight kit. 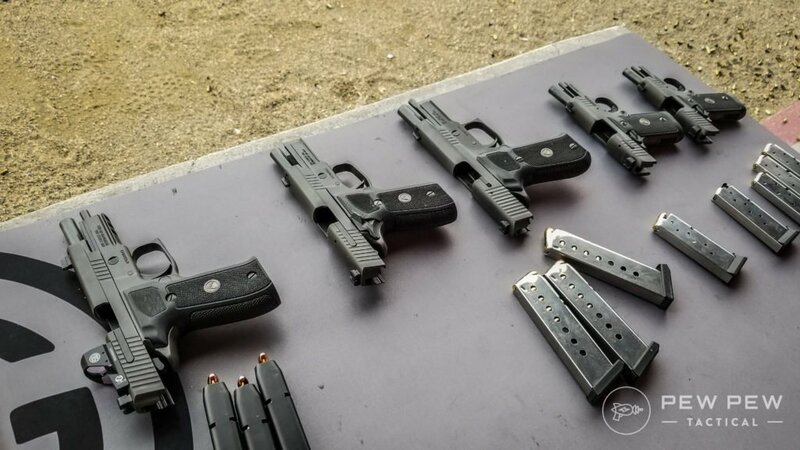 I’ll be the first to admit that I’m not the most proficient dude out there with a handgun, but Sig’s P229 Legion was an absolute pleasure to blast away with at Sig’s private range day event. This is incredibly subjective, but the 229 just feels fantastic to hold, especially for that particular family of larger-framed Sig double action pistols. Additionally, many of the RSOs at the individual stations were instructors at Sig Academy, and took it upon themselves to correct a few small flaws in our grip and shooting technique in a friendly and constructive manner. Hi Paul! Throwing rounds downrange through the 716, MPX, and MCX platforms was a blast as well! 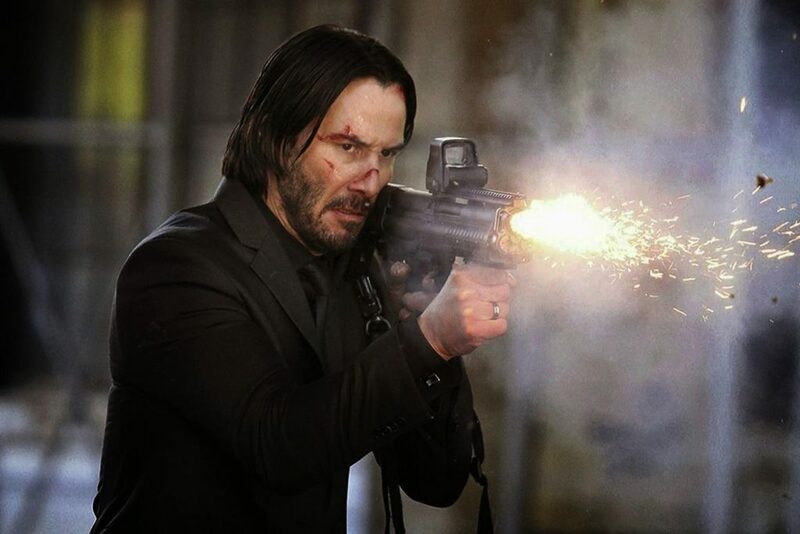 Arguably made famous by the hands of John Wick, Kel-Tec’s signature KSG shotgun is back! The gun’s dual magazine tubes have been nixed in favor of a single mag tube, giving the gun an even sleeker profile and minimizing the chance for feeding issues allegedly associated with the more complicated design. Its bullpup design means you’ve got a lot of barrel for the tiny package you’re holding, and it’ll throw slugs with the best of ’em. Want more bullpup…check out our Best Bullpup Rifles & Shotguns. Y’all want some roller delayed blowback? From Magpul’s new MOE handguard to H&K showing off what they deem a ‘Midlife Improvement’ for the platform, there was a surprising amount of new MP5 specific offerings at SHOT this year. What’s got us the most excited, however, is the idea that we might be able to own one ourselves! Word on the street is that PSA’s MP5 clone might well be available late this year…fingers crossed! Stay tuned for our favorite new guns of 2019 article coming out soon. 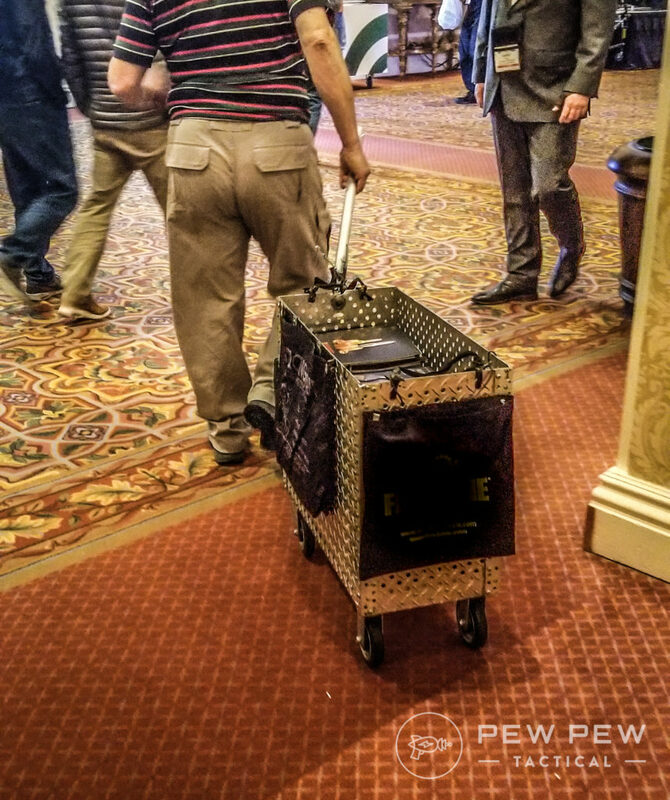 And until then, here’s my favorite rolling cart of the week. Which was your favorite out of our favorites? Anything else we should have seen? For our hands-on tested best guns & gear…check out our Editor’s Picks. Written by one of Pew Pew Tactical's contributors out in the field. For sure, Scott! Someone told us we had to go take a look and we’re glad we did. Hope to get some hands-on time with one this year.